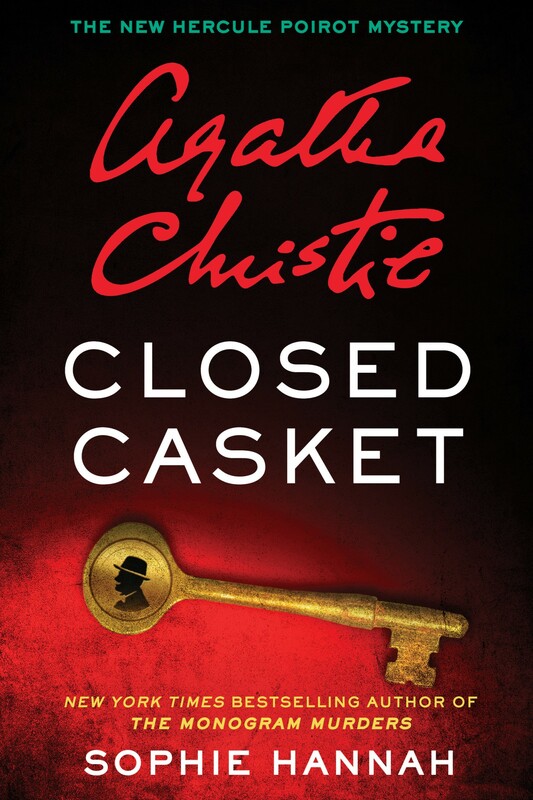 Bestselling author Sophie Hannah attempts to capture Agatha Christie’s masterful storytelling in Closed Casket, but Christie was an author who cannot be replicated. Closed Casket takes place at Lady Athelinda Playford’s estate in Clonakilty, County Cork, Ireland. Lady Playford invites her family, her staff and two detectives, including the eminent Hercule Poirot, for a mysterious reason. Once she makes her big announcement, one of the guests is killed and it’s up to Poirot and Inspector Edward Catchpool of Scotland Yard to solve the mystery. 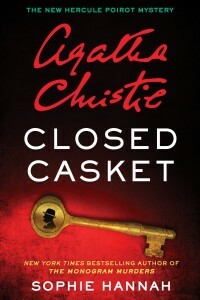 The premise of Closed Casket is very much like an Agatha Christie novel. The characters spend nearly the entire time in and around Lady Playford’s home, so their movements are mapped and timed by the detectives. The location, itself, is reminiscent of a Christie book, which usually takes place in a quiet English village or at the estate of someone well-to-do. And, like Christie books, the servants play an important role in solving the mystery. But the similarities between Hannah’s writing and Christie’s ends with the premise and the kind of characters involved in the plot. Although her attempt to emulate Christie’s writing is evident, the tone of her prose and her characterizations are off the mark. Agatha Christie’s style of writing is rather spare. She lays out puzzle pieces in a very matter-of-fact way, with little embellishment on descriptions or insights. She leaves the colorful writing for her characters’ dialog, effectively creating unique voices for each one, which goes a long way toward giving each a unique personality. Hannah’s writing, however, doesn’t quite achieve the clinical prose of Christie. Nor does she have the talent to create distinctive characters that don’t come off like caricatures. Some of the characters are too unique, in fact. Their dialog is so cartoonish that Hannah seems to be mocking Christie, rather than paying homage to her. One character in particular, Lady Playford’s son, is nearly one-dimensional because he’s reduced to ridiculous exclamations only. The mystery is somewhat intriguing, with as many red herrings as Christie would have employed. Like most of Christie’s mysteries, everyone except the detectives could easily have been the killer. And like Christie’s mysteries, bits of information are kept back or misinterpreted in order to keep the killer’s identity secret until the end. Christie, however, is adept at hiding secrets in plain sight, which gives the reader every opportunity to figure out who the killer is if she just looks at the facts the right way. Hannah, on the other hand, relies on simply having characters keep secrets, so that the reader can’t guess the killer based on the information available. Hannah also has a few exposition dumps that come off like bogs one has to slog through to get back to the story at hand. I would have liked to have seen the characters’ back stories woven into the mystery, rather than unspooling in one long interview with each. The end was somewhat unfulfilling, as well. The killer’s identification was almost an aside. Plus, once the killer was fingered, the consequences were as insignificant as the identification. Overall, I was happily surprised to find out there was more to the mystery than meets the eye. Like a good Christie book, the characters had more going on than they initially let on. I was unsatisfied, however, with how the story was told, and the silly nature of the characters. As perceptive as Poirot himself…..or is that just because this review, unlike all the other platitudes I have read, more fully encapsulates my experience of reading this disappointing book. No more, no more; I flee back to Dame Agatha’s literary bosom!